The global economy will likely grow 3.3 per cent this year, its slowest expansion since 2016, the IMF said in a forecast. 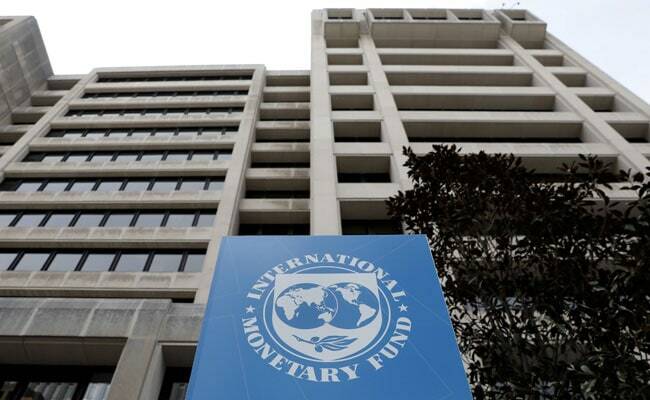 The International Monetary Fund on Tuesday cut its global economic growth forecasts for 2019 and warned growth could slow further due to trade tensions and a potentially disorderly British exit from the European Union. In its third downgrade since October, the global lender said some major economies, including China and Germany, might need to take short-term actions to prop up growth. The global lender said it still expects that a sharp slowdown in Europe and some emerging market economies will give way to a general re-acceleration in the second half of 2019. "However, the possibility of further downward revisions is high, and the balance of risks remains skewed to the downside," the Fund said in its World Economic Outlook report for the IMF and World Bank spring meetings in Washington this week. The global economy will likely grow 3.3 per cent this year, its slowest expansion since 2016, the IMF said in a forecast that cut 0.2 percentage point from its January outlook. "In this context, avoiding policy missteps that could harm economic activity should be the main priority," the IMF said. One potential misstep lies in Britain's indecision over how to leave the European Union. Despite looming deadlines, London hasn't decided how it will try to shield its economy during the exit process. The IMF's new forecast assumes an orderly "Brexit" but the Fund said a chaotic process could shave more than 0.2 percentage points from global growth in 2019. The IMF said the Bank of England should be "cautious" on interest rate policy, an apparent tip to wait before hiking. Europe's economic growth is already slowing substantially and it accounted for much of the reduction in the global growth forecast. Germany's outlook suffered from weaker demand for its exports, softer consumer spending and new emissions standards which have depressed car sales. Germany may have to quickly turn to fiscal stimulus measures, the IMF said, also calling on the European Central Bank to keep stimulating the regional economy. The IMF also cut Japan's growth outlook following a string of natural disasters. The US economy, while seen outperforming other rich nations, also got a downgrade on signs that a fiscal stimulus fueled by tax cuts was producing less activity than previously expected. The IMF said it supported the US Federal Reserve's decision to pause its rate-hiking cycle, which the global lender said would support the US and world economies this year by easing financial conditions. The IMF raised its forecast for US growth in 2020 by a tenth of a percentage point to 1.9 per cent. The global lender said it was slightly boosting its outlook for Chinese growth this year - to 6.3 per cent - in part because it had expected an escalation in the US-China trade war which did not materialise. Still, America's ongoing tensions with China and other major trading partners remain a risk for the global economy. Already, US tariffs on Chinese imports are hitting Chinese growth, while also weighing on Latin America and other areas dependent on Chinese demand for commodities. In a World Economic Outlook chapter released last week, the IMF said that an escalation of the US-China trade war would drive manufacturing away from both countries and cause job losses, but would do little to change their total trade balances. If 25 per cent tariffs were imposed on all trade between the world's two largest economies, US GDP would fall by up to 0.6 per cent and China's would fall by up to 1.5 per cent, the IMF said. The IMF also cut its 2019 growth forecasts for Canada and Latin America as well as for the Middle East and North African countries. China was trying to rebalance its massive economy away from investment and exports when US President Donald Trump ordered higher tariffs on Chinese imports beginning in 2018. China responded with retaliatory tariffs on US goods. In an ominous sign, the IMF said Beijing might need to unleash fiscal stimulus "to avoid a sharp near-term growth slowdown that could derail the overarching reform agenda."